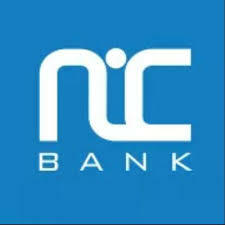 NIC Bank, whose full name is National Industrial Credit Bank, is a commercial bank in Kenya, the largest economy in the East African Community. Treasury is the financial heartbeat of the Bank, and therefore, the function ensures prudential and statutory-mandated management of the Banks’ Foreign exchange and Interest Rate risks. Proprietary trading in foreign currencies within the given parameters. To maintain exchange positions for the bank within the given parameters and ensure profitable covering of open merchant positions in the interbank markets. Product development to hedge against exposure created by customer transactions e.g. spot, forward and swaps. Keep track of exchange and interest rate movements in local and international markets while managing the bank’s position in accordance with the market trends. Servicing currency requirements for NIC corporate clients and ensuring maximum returns from these relationships. Maintaining contact with key players in the industry and gathering information that is likely to affect financial markets. Effective and timely reports to ALCO on foreign exchange trends and forecasts. Identifying, targeting and marketing new FX customers with aim of growing our FX revenues. Managing the NIC corporate portfolio and ensuring maximum returns from these relationships. Providing innovative solutions to existing and potential customers to increase the wallet size. Preparation and circulation of daily treasury bulletins and dissemination of any other market information or research material that is beneficial to relevant parties. Cross-sell the banks products by introducing new names to any of the other business sections. Constant and effective monitoring of the banks foreign currency exposure to ensure internal and CBK policy limits are adhered to. Accuracy of records, appropriate application of products and correctness of P&L position. Timely renewal of Interbank & Customer Limits. Liaise with Reuters and other service providers to ensure smooth operation of dealing resources. 3 years progressive experience in a busy Treasury environment. Thorough understanding of the local and international financial services industry. Financial analysis Skills: Ability to analyse market information and provide structured solutions. Analytical business and investment appraisal Skills: Able to provide advice and cause/effect evaluation to support business decision making. Technology Skills: High level of computer literacy. Industry knowledge: Knowledge of foreign exchange markets and trends of major currencies. Goal driven and results oriented: Enjoys being measured, and judged by financial and other performance targets. Personal Ethics: Has a strong service ethic and demonstrates integrity in work and business contacts. Communication Skills: strong evaluation, communication and reporting skills. Interpersonal Skills: Builds relationships and networks easily with ability to interact with key contacts in finance sector. Work balance: Ability to balance opposing business requirements as well as long and short term requirements independently. Across the organisation at all levels. Competitors/Other leading Institutions – Market intelligence. To keep up with any developments in the Banking industry. Regional and cross country- to ensure sharing of best practices across the organisation. Professional bodies. ACI –The Financial Markets Association of Kenya.